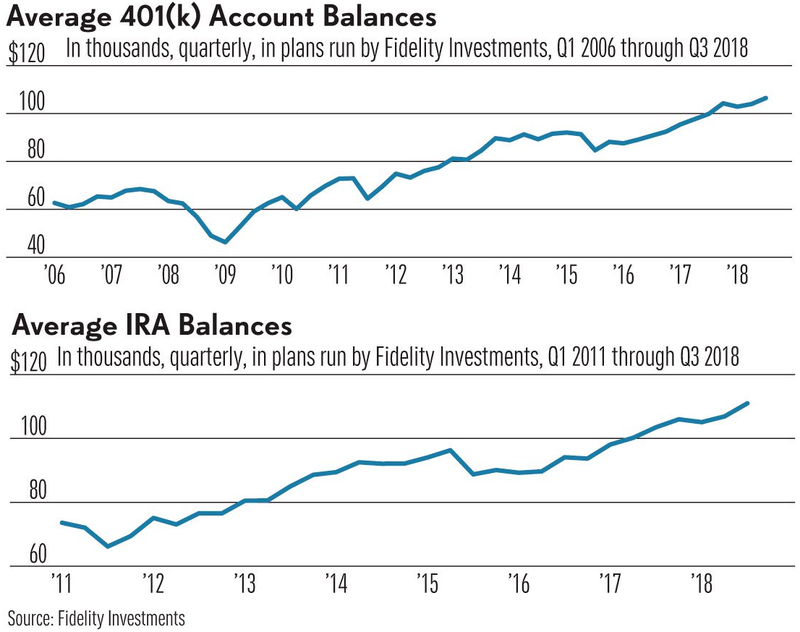 Earlier this week we learned that consistent participation in a tax-advantaged 401(k) plan can lead to substantial growth in your retirement nest egg. 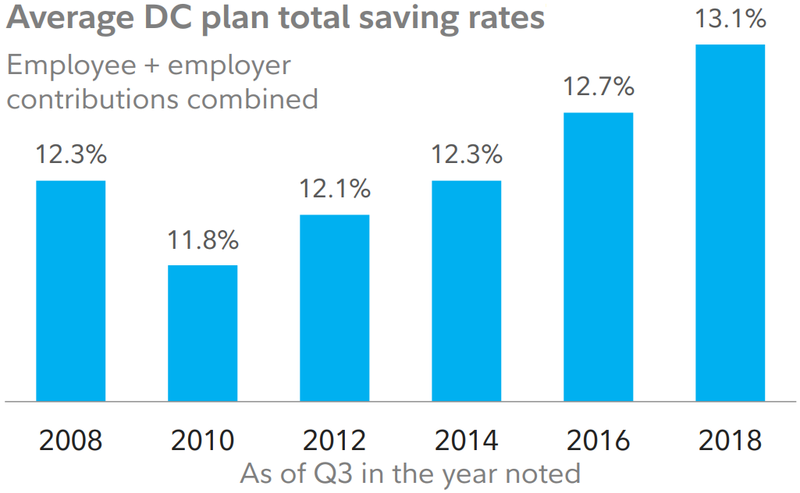 This is supported by a new report from Fidelity Investments which found that the average account balance for workers who have been in their company’s 401(k) plan for fifteen consecutive years ended the third quarter of 2018 at $400,300. That is a 737 percent increase since 2003 for this group of participants, but even workers who only recently became persistent with their contributions have still been able to achieve significant growth in their retirement assets. 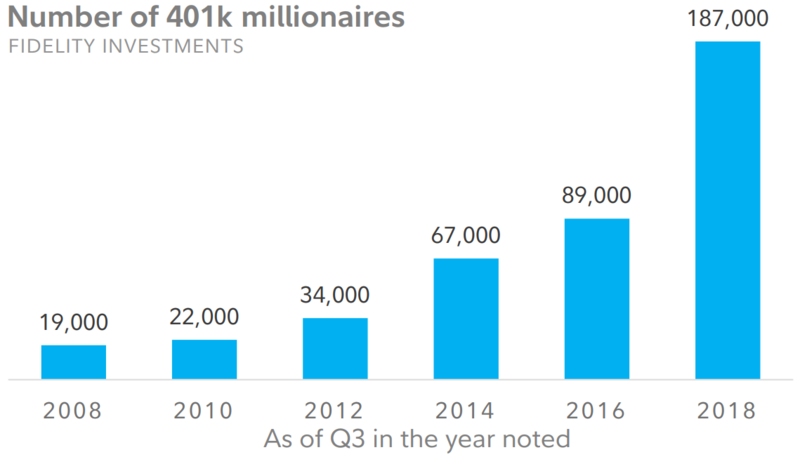 For example, the average account balance among participants who have been in their employer’s 401(k) for just five consecutive years ended Q3 at $221,200, up from $103,700 in 2013. Even Millennials with their relatively lower level of disposable income have been able to amass an average of $82,000 in their retirement plan over the past half a decade. Start early: Save and invest as much as possible as early as possible. Compounding interest can be a powerful tool in the pursuit of retirement readiness. Get the match: In workplace plans, start by saving enough to take full advantage of any employer matching contribution and increase contributions by 1% annually. Create an investment strategy: Determine if you can take charge of investing your savings on your own. If you can’t or prefer not to, leverage a Target Date Fund or Managed Account. Don’t cash out: When changing jobs, resist any urge to cash-out or take distributions as they diminish the power of long-term saving.